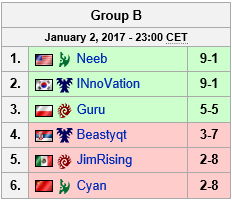 2016's OSC Season 4 Championship will be played over 7 days, Mon Jan 1 - Sun 7 NA timezone (2-8th SEA/KR). This Championship will be the culmination of our $250,000 season, and feature the top 50 players who've acquired points from 300+ events in 2016! The winner of this finals series will be declared 2016's OSC Champion! The top 26 highest players from the 2016 season, get seeded into championship bracket. 1-20 Upper Bracket, 21-26th Lower Bracket. 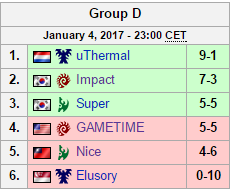 The next 24 players (27-50th), play in 4 6 player SSL style groups, and the top 12 players post groups are matched up in the playoff stage to determine the 6 best players to join the Championship Bracket. 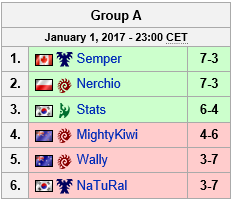 7 Days of SC2 action! Players and Brackets to be posted once confirmation stage is complete. 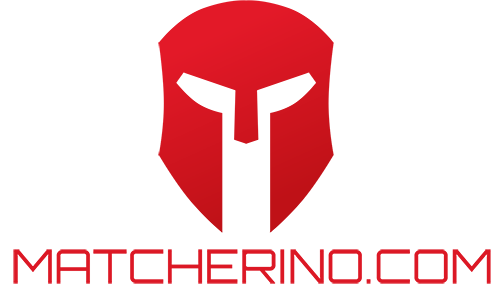 We will have 2 English streams running at simutaneously for most of the Championship, so we can cover most games. Streams will be allocated games, so players/casters/fans know the schedule. There is some amazing player in the top 50th, I will be watching for sure! I'm in 508th place, I've still got a chance! Any Partnered Tournament, of which there are many! 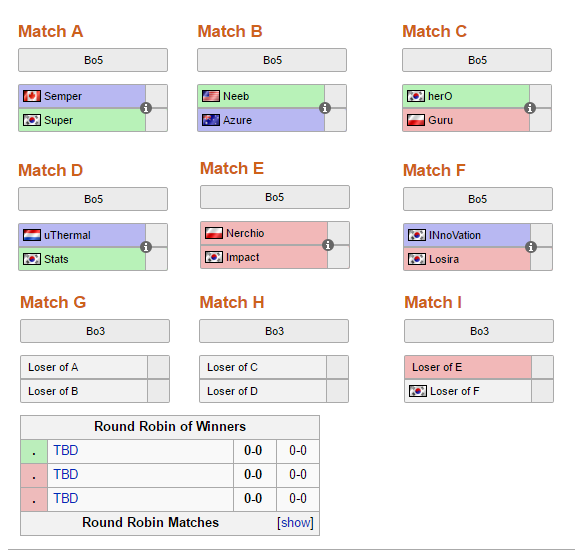 Can keep an eye on SC2Online for open OSC events. Updated regularly. Shows open events and qualifiers, but not events that are already underway or invitationals. Otherwise most tournaments are usually listed here on TL. Many events are open globally/not region locked. 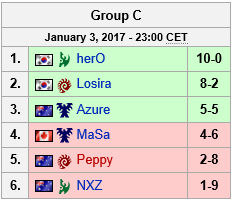 However, timezones are often OSC home region/WCS NA region friendly. Great tournament a much watch and honestly Eddie has does an amazing job for the community. 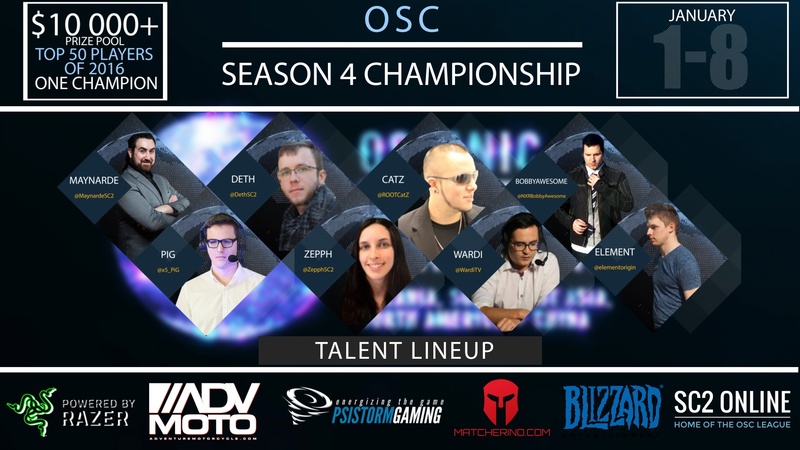 The OSC Participation also is 1 of the best features implemented in this system this year and is very rewarding to the dedicated players.Show your support by watching the finals!!! OSC Gives you alot of experience and helps you to growth as a player, personally OSC was a big part of why i was getting better, im super exited for the finals not just because of the money also because of the competition it self there ll be 50 players of the best quality that got points through out the year. definitely stay tune for the finals and cheer for your champ. I'm sure Byun has got this. But 50 players is bonkers! View upcoming open signup events here (updated daily). Only 1 week left to earn points! Final tournament of the year is complete! There's a few hours remaining if players want to try a challenge match! Nerchio sneaking into the top 50 last second . Definitely will try to watch the finals now. 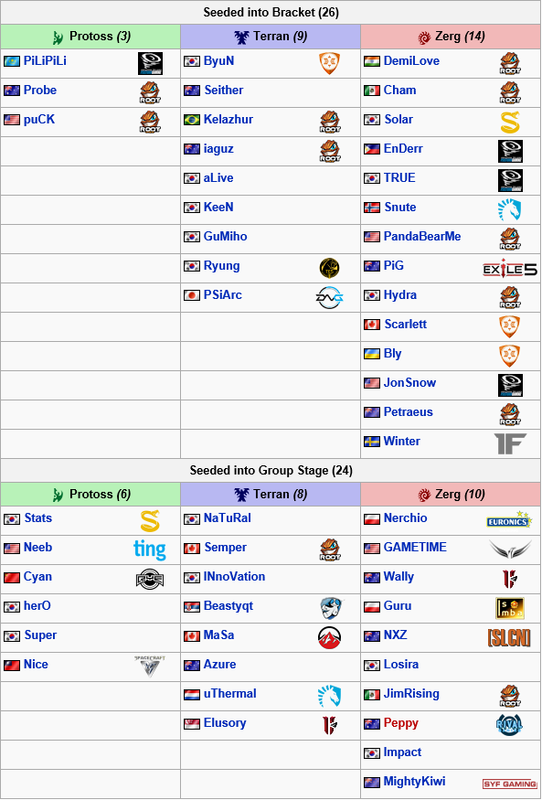 After speaking with a lot of players during the initial confirmation period, several have expressed conflicts with having earlier flights leaving for WESG, or only being available up to the 7th. As such we have decided to start the tournament one day earlier! Under 10 days until the Championship begins! Confirmed Players can be viewed here!